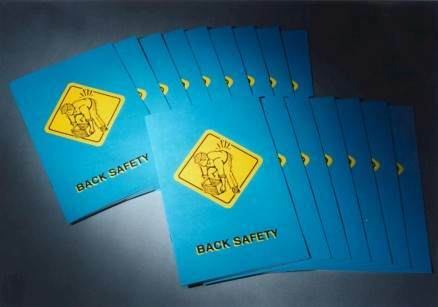 Description: MARCOM's "Industrial Ergonomics" Employee Booklet covers recognizing ergonomic problems, potential adverse effects and pragmatic solutions employees can use to address to these problems. In recent years potential ergonomic problems have become a major concern in many business environments. Many facilities are now devoting significant time and effort to controlling the twisting, turning, stretching and other motions that place stress and strain on employees' body. It focuses on potential ergonomic problems in manufacturing, assembly and warehouse situations. The Booklet includes information on physiology of the body, parts of the body most effected, eye strain, pragmatic preventative measures, correct use of office equipment, exercises and stress release, and more. The Employee Booklet features text, illustrations and a Quiz, and is 16 pages in length. Booklets are available in packages of 15.